Make the Nissan Qashqai experience even nicer with essential accessories. Do you know what people do when they have a car? Well they like to enhance it and improve it, in a word they like to add accessories to it. Nissan wants to please Qashqai drivers and bring the accessories to the next level. In 2020 the Qashqai will be renewed and with this renewal, the manufacturer would like to offer a new kind of accessories. 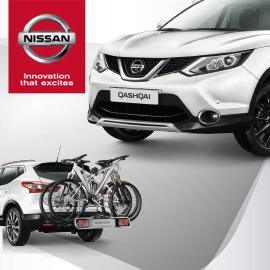 So… what do you think Nissan could offer to people who have a Qashqai, to make the most of their beloved car? Find ideas for accessories to be used in the Qashqai, to solve issues or needs people have. Format: 1 page: visual of illustration and answers to the questions. Entries are accepted till April 10, 2016 23:59 UTC !